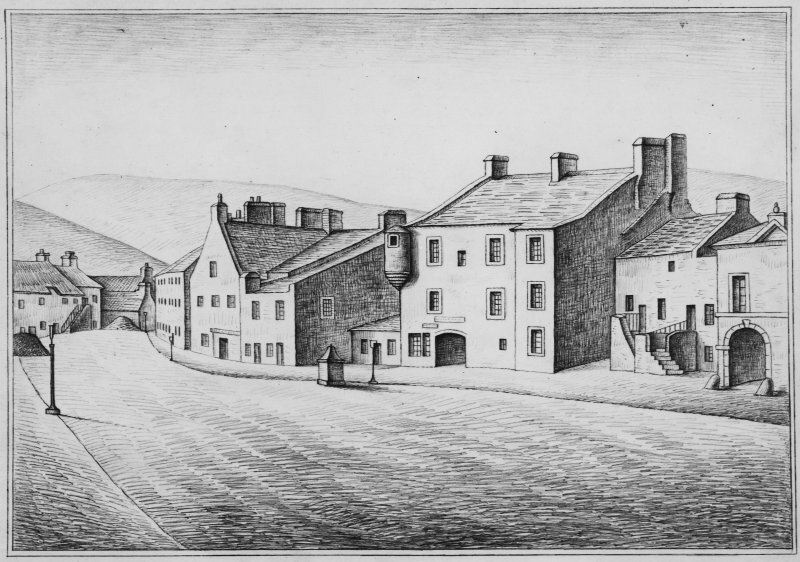 The Chambers Institution was formerly in the possession of the Dukes of Queensberry, after whom it came to be known as the Queensberry Lodging; it was also called Dean's House, being thus described on Armstrong's plan of 1775. After being acquired by William Chambers in 1857, the building was completely remodelled for its present use as a library, art gallery and museum; further alterations were made c.1910. The structure now bears few visible traces of antiquity, though the substantial wall thicknesses and part-vaulted basement of the central portion indicate that some old work at least has survived. It is probably of 16th or 17th century origin. The building is as described. Externally it is not of architectural importance. A window lintel bears the date '1668'. 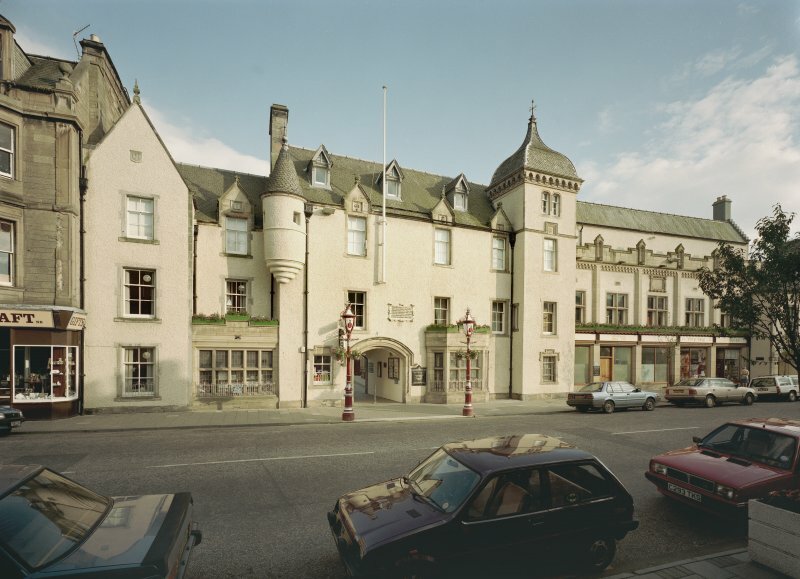 Two hotels in Peebles have seventeenth-century portions. The Cross Keys Inn is a much-altered seventeenth-century structure (RCAHM, 1967, 279), while the County Hotel, although with an eighteenth-century facade, has a barrel vaulted cellar at the east end of the building on ground floor level which suggests that a portion of the hostelry might be sixteenth-or seventeenth-century (RCAHM, 1967, 277). The building known as Chambers Institution also maintains some sixteenth or seventeenth century portions, although when it was acquired by Mr. Chambers in 1857 the building was completely remodelled to serve as the library, art gallery and museum. It underwent further alterations in 1910 (RCAHM, 1967, 277). 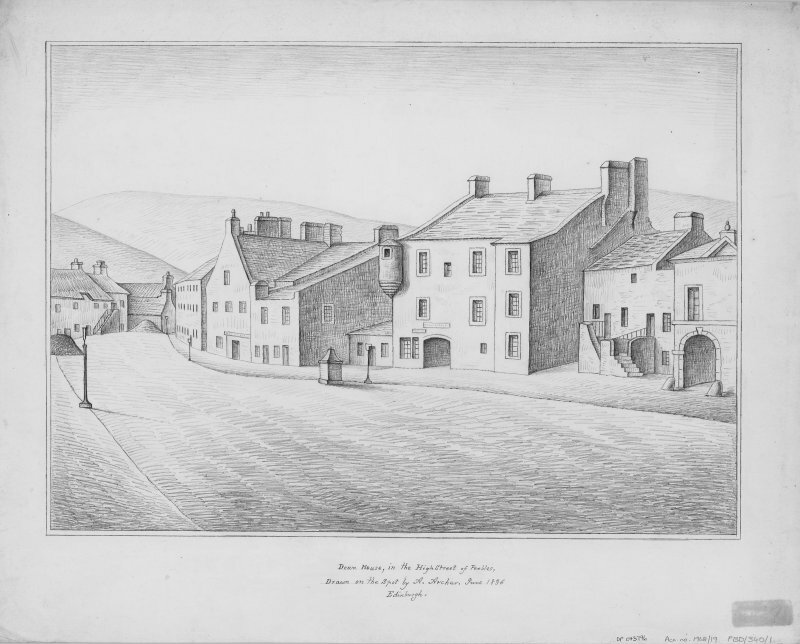 In a close known as Parliament Close leading off the south side of High Street is a two-storeyed eighteenth- century structure on the west side of the square (RCAHM, 1967, 277). 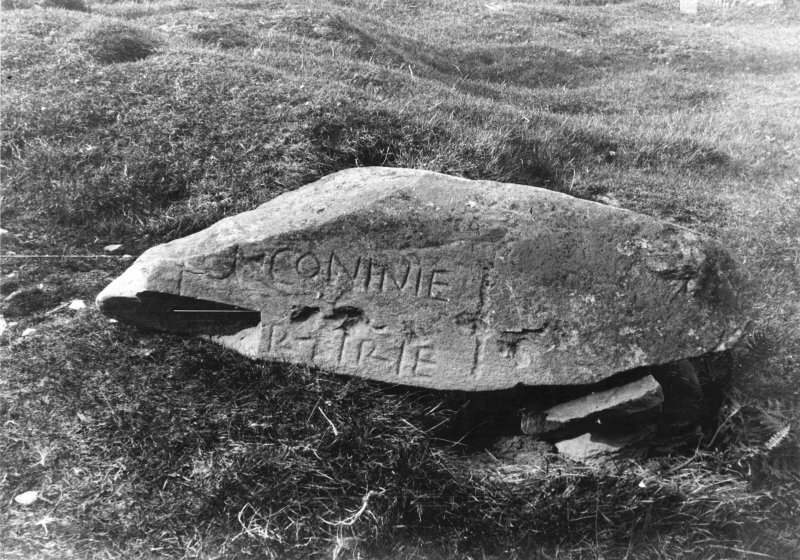 Information from ‘Historic Peebles: The Archaeological Implications of Development’ (1977).